The world’s largest online retailer is looking to set up shop for its second headquarters location, and South Florida is in the running. Amazon is currently looking at commercial real estate in the state. 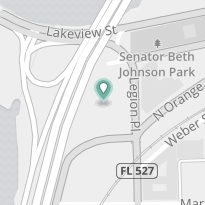 It is currently reviewing several proposed property locations in the area, including one in Palm Beach County, two in Broward County and five in Miami-Dade County. If Amazon decides to choose a headquarters in Florida, it will unique in that it will spread across various locations. It will not be confined to a single address. It is possible the company could have buildings on both public and private land. There are no specific locations or details on any offers at this time, so there is a lot of speculation about what Amazon is looking for. However, the company does plan to build a headquarters with 8 million square feet on 100 acres. This $5 billion investment will create 50,000 new jobs. There were 238 proposals throughout the United States and Canada. The number has since been whittled down to 20. Miami is on the shortlist. The Business Development Board of Palm Beach County, The Fort Lauderdale Alliance and The Beacon Council in Miami are three economic development agencies pushing for Amazon to choose Miami. Amazon does have plans to open an 850,000-square-foot warehouse later this year next to the Miami-Opa Locka Executive Airport in suburban Miami-Dade County. However, it’s unknown if Amazon will want to open its headquarters in the area, given that that land prices in South Florida are on the rise. However, real estate professionals say that a campus consisting of six buildings across downtown Miami would be ideal, based on Amazon’s requirements. The six sites in mind, which would include a hotel and residences, would not require any rezoning, so Amazon could easily build on the sites. According to the real estate report, the buildings could be located on the corner of First Avenue and Southeast Second Street; two buildings between Northeast Second and Third streets; the corner of Northeast Sixth Street and Biscayne Boulevard; the corner of Second Avenue and Northwest Eighth Street; and the corner of 13th Street and Northeast Second Avenue. Because South Florida is known for traffic, Amazon would require its headquarters to have mass transit access. Brightline and Wave Streetcar are two options in the area. The city of South Florida is currently with discussions with Amazon. The company is expected to make a decision by the end of 2018. 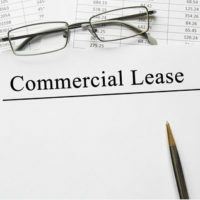 Commercial real estate transactions are often complex. They tend to require coordination with professionals such as contractors, architects, surveyors and engineers. Orlando commercial real estate transaction lawyer B.F. Godfrey from Godfrey Legal has extensive experience in this area of law. He has worked on both sides of commercial real estate transactions and can advise both buyers and sellers of the legal nuances involved. Schedule a consultation by calling our office today at (407) 890-0023 or contacting us via our online form.